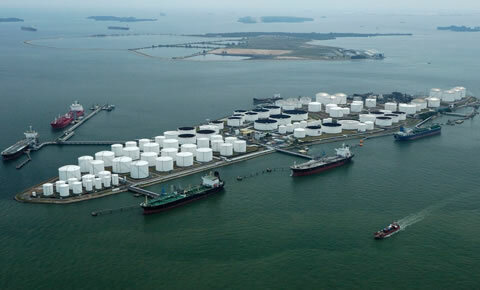 Antara Koh Pte Ltd is a Specialist Contractor in Land and Marine Piling, Civil Engineering and Marine Structure Construction such as Jetty, Bridges and Harbour. Established in 1974 and over the years, we continuously improve our technology and company resources to handle large and difficult jobs which are technically demanding in Singapore and overseas markets. 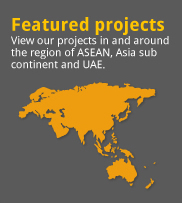 We have completed Projects in Singapore and in the ASEAN region and extending to the Asia subcontinent and the UAE. We have registered offices in Singapore, Malaysia, Indonesia and Vietnam. We deliver Projects on time on budget with high quality and safety records. Headquartered in Singapore, we own a yard of 2.2 hectares in the Industrial Town of Jurong with a private wharf with 165m of sea frontage. Within the property, we have 3,000m² of office space, 600m² of covered workshop and over 1.5 hectares of open yard for steel fabrication and precast concrete works. We are innovative and highly mechanized. We design and build our own construction plant and equipment to suit our works to maximize productivity. We own and operate a wide range of construction equipment and plants such as fixed leader piling barges, Reverse Circulation Drills (RCD) and large diameter Down-The-Hole hammer (DTH); Our piling barges are equipped with Real Time Kinematic Global Positioning System (RTK GPS) and HYDROproTM software and are assisted by anchor handling work boats to change location quickly. We established a creative working environment that will stimulate our employees to think on their own, discuss and consolidate ideas into an action plan with their colleagues. They will then organize themselves into a single-minded team to execute the works and do it right the first time, and every time. Our Motto : Think, Discuss, Organise and Do It Right The First Time !